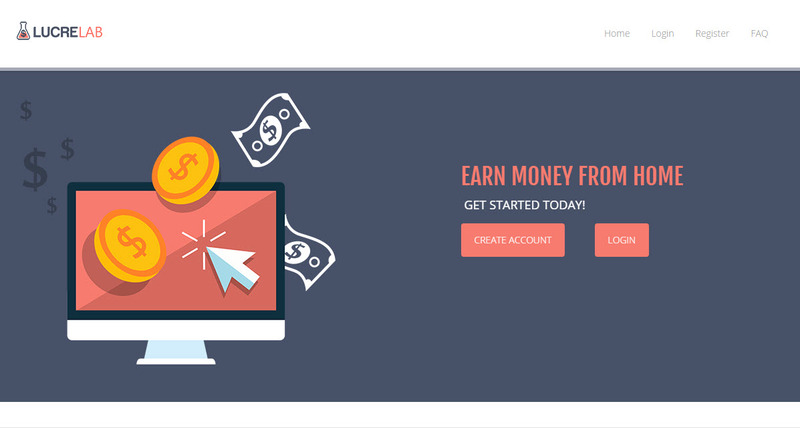 Lucre Lab Review – Is it a Scam or Legit? LucreLab was launched in March 2015. This site has over 30,000 registered members and it has paid about $60,000 to its members. Owner details of LucreLab is unknown and where is there main location. LucreLab is a pay to click (PTC) plus revenue sharing program where you can earn money by clicking daily ads. This system is based on the lab points, if you have more points than you can earn more and there are different ways you can get lab points. 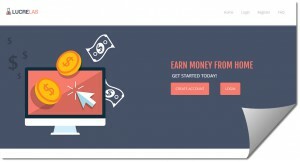 How to Earn Money from LucreLab? Viewing Ads – You can view ads in the member’s area and earn money. Each ads are of different value based on the number of lab points you have. There are different categories of lab points and you will get daily ads depends on the group level you have. Higher the group level you have, more you get high value ads. Once you have lab points higher than 1600 then you can start receiving cash value ads and your respective points will convert into value ads. It means you will receive 3,100 x $0.0005 = $1.55 value ads with the passage of time. LucreLab has 12 different group levels and this levels decide how much you receive daily ads of different value. It is not fixed rather depends on the number of daily sales and then admin distribute money in all levels. You can receive daily news in the forum area that can guide you the number of sales and distribution of money to each group level. Some people are receiving daily $20 value ads but you should be have lot of lab points. Referring People – Refer your friends or other people and earn 5% of every ad they view and every created campaign. This is a great way to generate quick money online once you have large of active referrals. LucreLab is free to join for everyone and available to worldwide peoples. You can earn some money using this system but it is not more than cents. You can also promote your links in the form of advertising to LucreLab members and sometimes it can convert. In order to earn in dollars you need to invest a lot of money which is very risky. Companies like similar to LucreLab has already in problems and are not paying to its members like Digadz, Profit forest and LibertaGia. Only one company is still alive which is better than all but also has very limited earning potential. Looking at the industry then it is very evident that this site will close very soon unless if find some more income streams. They have added games and other things but I still feel that it is not enough. Even if this site sustain for long term (which looks impossible now) then still there is very limited earning potential and you can only earn something good when you invest $1000 dollars which is very risky. Suppose you invest $1000 and you are awarded 3,100,000 lab points and it is equal to 3,100,000 x $0.0005 = $1550. But when will you earn $1550 it can take number of months. With such risk and limited earning potential it is always advisable to stay away from such site. Product offered by this site is also not worth the money because most people join LucreLab due to its earning potential and very rare to generate leads, signups and sell products/services to other members. Owner information and its location is hidden and most who hide their identity will be those who has previously related with the scam product and their intentions are not honest. Monitoring – In order to promote your program and earn money from it then you can add program using “Add Button” and you will be asked your referral link and other information. It will cost you around $5.50. Apart from this you can also buy premium display for $0.25 per day and your site will be shown on the top of the page. 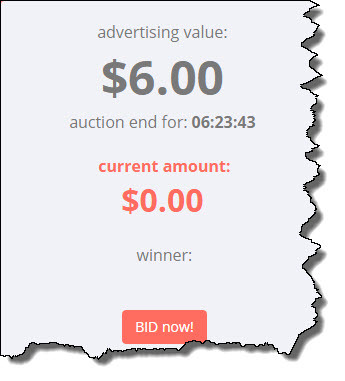 Auction System – You can find valuable advertising in LucreLab auction system. Offer bid intelligently because each bid which you will use will never return and it extends the period of the auction by 10 seconds. Immediately after you bid, your cash balance will be automatically subtracted of current ad value. If someone will bid more than you then your cash will return to your account. Payment Processors – LucreLab provides different payment processors options like Solid Trust Pay, Payza, Perfect Money, Bitcoin, Payeer, OKPay and PayPal. There is both deposit and exit commission on all the processors with different rates. Moreover there is minimum withdrawal limit of $0.5 and for Payza and STP it is $1. Social Exchanges – In this area you can find different tasks and if you complete those then you are awarded different lab points. 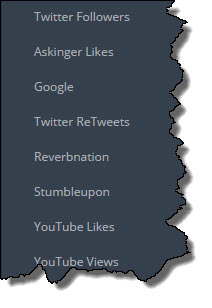 Tasks includes follow on social media, YouTube likes and views etc. LucreLab is a new site and admin is trying hard to make this system sustainable as they are adding new options in the site but still it is unsustainable and I cannot recommend anyone to invest in this site because there is a lot of risk involved. I cannot say yet it is a scam or legit site as this site is currently paying to its members and also this system is unsustainable. There are lot of similar sites closed during the last few months. If you are seriously looking for some long term earning opportunity then I suggest you to read detail review of my #1 recommended business.